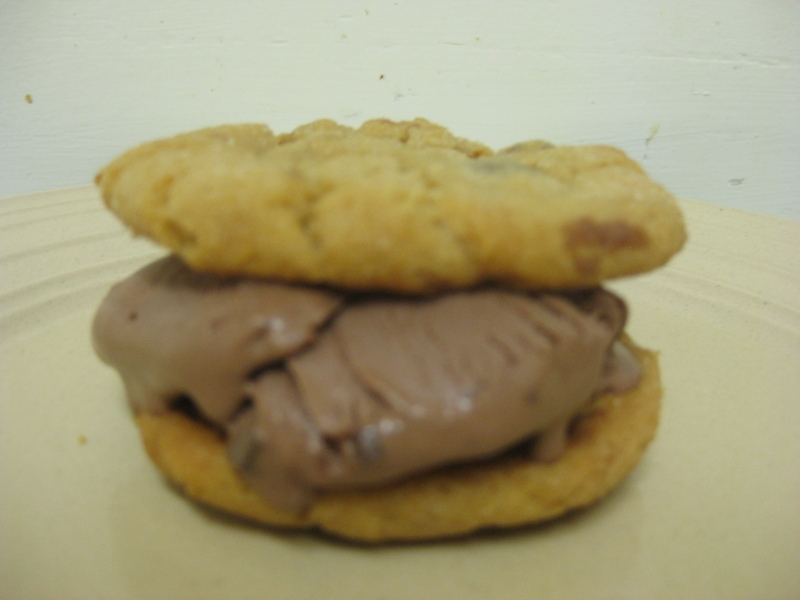 The ice cream cookie sandwich! I learned my lesson the hard way. If you recall last week I made The Mama Chipwhich, which the Silly Husband thought was for him. Womp Womp. Seeing him so disappointed was heartbreaking, and being the nice wife that I am, I decided to make him his own chocolate peanut butter ice cream sandwich. I know that chocolate and peanut butter are the way to his heart. 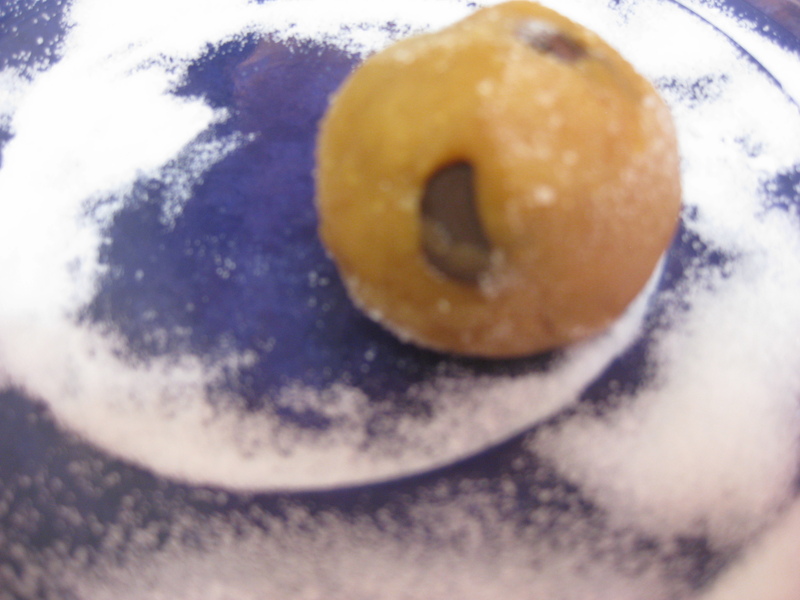 Though he wasn’t blessed with my sweet tooth, he never refuses a cookie. They are, in fact, his weakness. So, what’s better than a gooey chocolate peanut butter cookie smothered in chocolate peanut butter ice cream? Nothing. 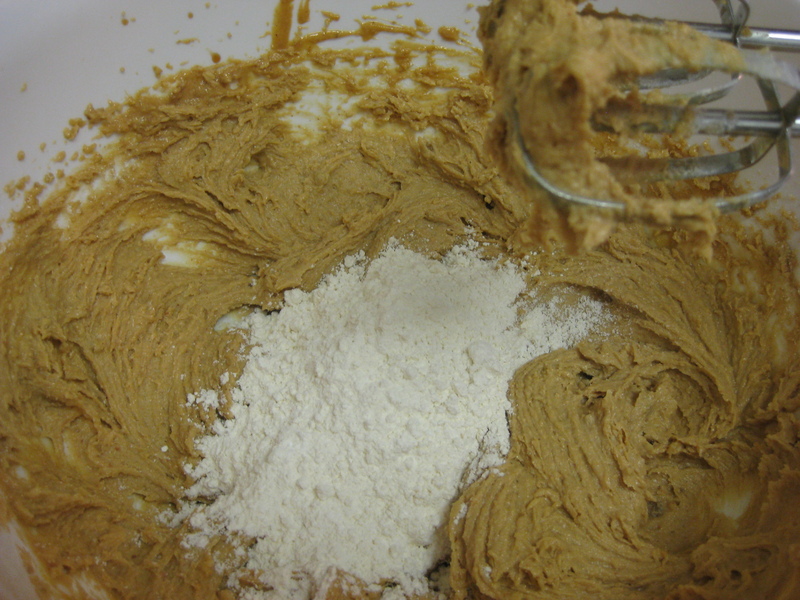 In a large bowl, beat the butter and the peanut butter together until fluffy. Add the sugars and beat until smooth. Add the egg and mix well. Add the milk and the vanilla extract. Add the flour mixture and beat thoroughly. 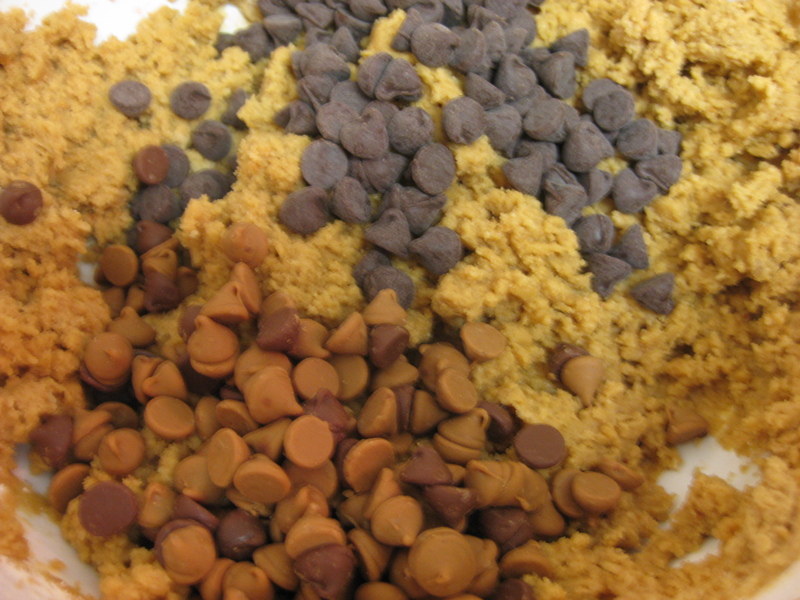 Stir in the peanut butter and chocolate chips. Place sprinkling sugar — the remaining tablespoon — on a plate. Drop by rounded teaspoonfuls into the sugar, then onto ungreased cookie sheets, leaving several inches between for expansion. 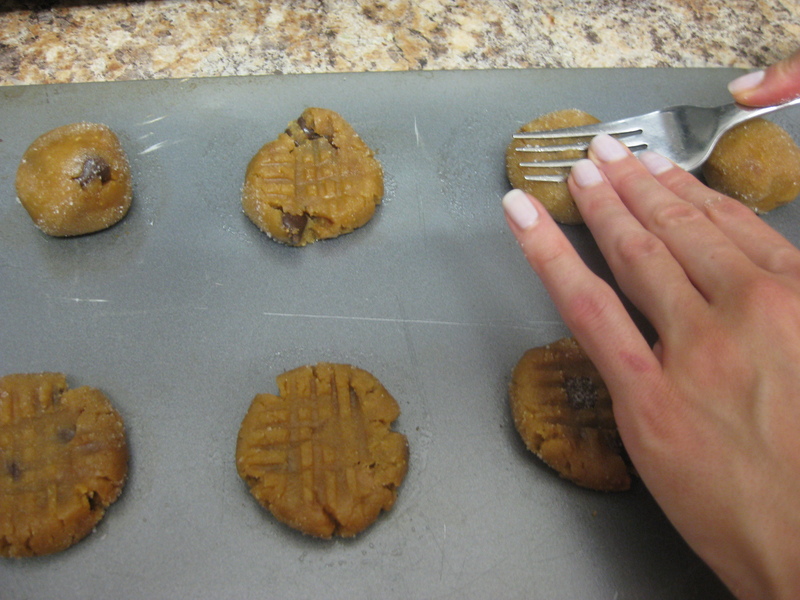 Using a fork, lightly indent with a crisss-cross pattern (I used the back of a small offset spatula to keep it smooth on top), but do not overly flatten cookies. Bake for 10 to 12 minutes. Do not overbake. 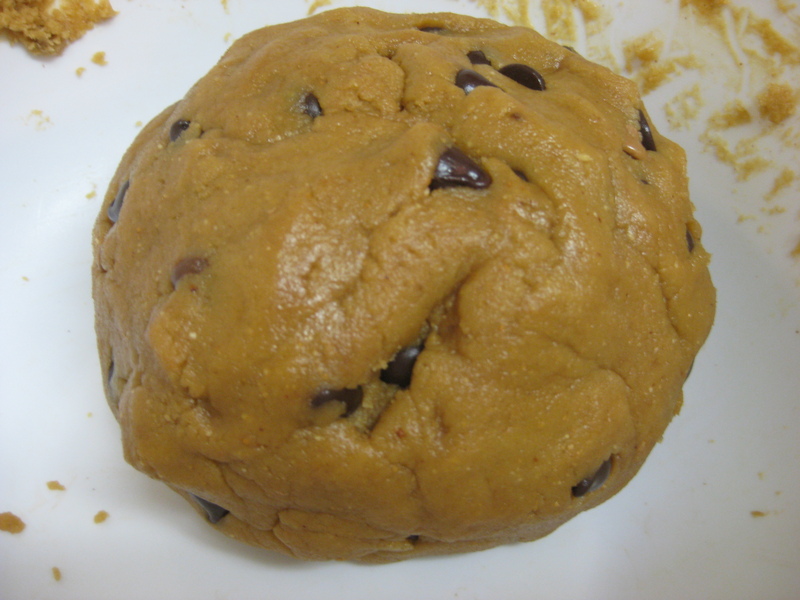 Cookies may appear to be underdone, but they are not. This recipe made approximately 35-40 cookies. 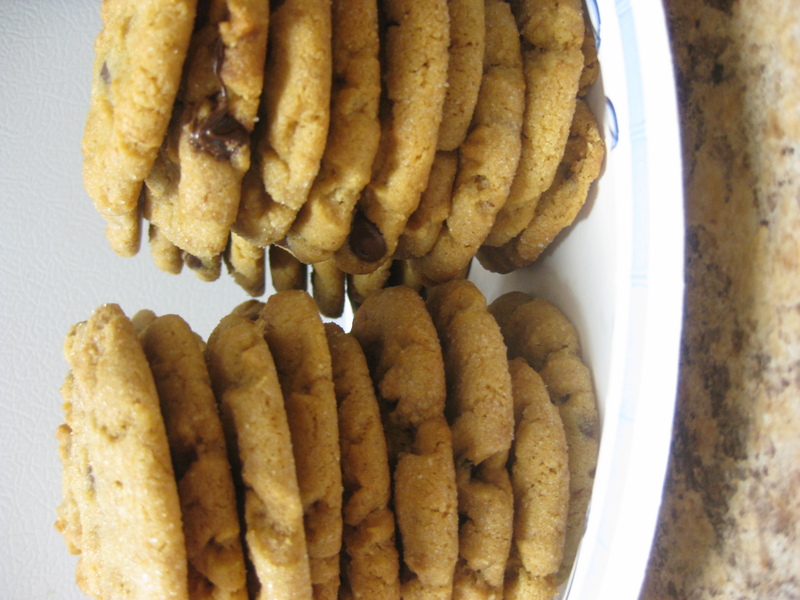 Look at those gorgeous cookies stacked and ready to go! Make the dark chocolate peanut butter ice cream (see here for a complete guide to making this delectable treat). As soon as the ice cream is done churning you’re going to want to start assembling. Place one cookie face down on a plate. 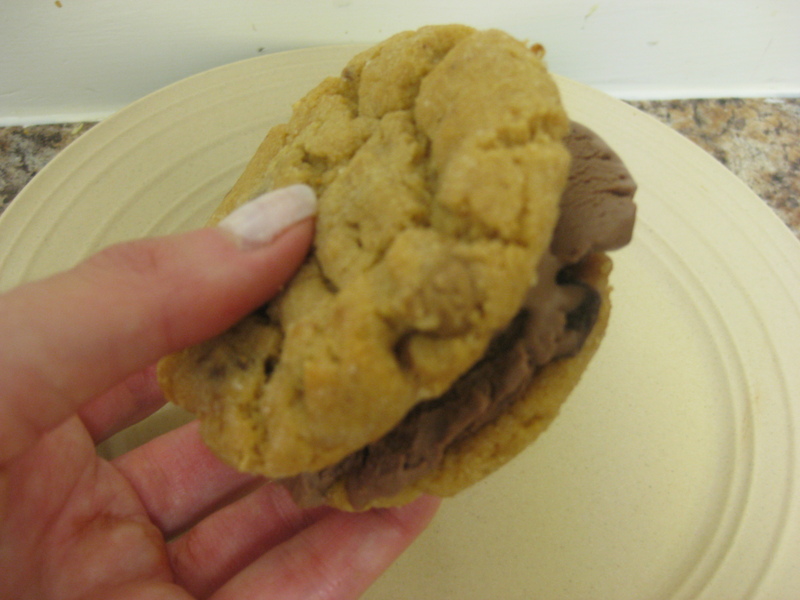 Place 2 scoops of ice cream on top of the first cookie, cover with the second cookie and “smush” the top cookie down a bit onto the bottom cookie so the ice cream oozes out a little on either side. Repeat until you have enough ice cream cookie sandwiches and serve immediately. The Verdict: The cookies were outrageous bundles of butter, peanut butter and chocolate. The little sugar coating on the outside was a great way to start the bite. I brought the cookies to my office and they were devoured. When filled with ice cream, these were just the bees knees. I wish I was stuck in your place…I’d help you taste all your creations!! !